N. Ignjatovic, M. Plavsic, M. Miljkovic, Lj. Zivkovic and D. Uskokovic, “Microstructural characteristic of Ca-hydroxyapatite/poly-L-lactide based composites”, Journal of Microscopy, 196 (1999) 243-248, DOI: 10.1046/j.1365-2818.1999.00623.x. N. Ignjatovic, V. Savic, S. Najman, M. Plavsic, D. Uskokovic, “A study of HAp/PLLA composite as a subtitute for bone powder, using FT-IR spectroscopy”, Biomaterials 22 (2001) 571-575, doi:10.1016/S0142-9612(00)00215-5. V. Konstantinovic, N. Ignjatovic; The Treatment Of Experimental Periimplantitis In Dogs Using The New Bone Substitute Material And Resorbable Membrane; Combined With Platelet-Rich-Plasma; Journal Of Cranio-Maxillofacial Surgery 30 (2002) 178-178. M. Stevanovic, N. Ignjatovic, B. Jordovic, D. Uskokovic, “Obtaining of poly-(DL-lactide-co-glycolide) nanospheres”, Journal of Materials Sciences: Materials in Medicine, 18, 7 (2007) 1339-1344, doi:10.1007/s10856-007-0156-8. N. Ignjatović, D. Uskoković, “Biodegradable composites based on nano-crystalline calcium phosphate and bioresorbable polymers”, Advances in Applied Ceramics, Nanoceramics special issue, 107, 3 (2008) 142-147 (DOI: 10.1179/174367608X263421). I. Mitranić, M. Stevanović, B. Nedeljković, N. Ignjatović, D. Uskoković, "Controllable Synthesis of Horseradish Peroxidase Loaded Poly(D,L-lactide) Nanospheres", Journal of Bionanoscience, 3, 1 (2009) 22–32. P.J. Vasiljević, S.J. Najman, J.B. Dordević, V.P. Savić, M.D. Vukelić, J.Z. Živanov-Čurlis, N.L. Ignjatović & D.P. Uskoković, 2009, "Ektopična osteogeneza i hematopoeza iz implantiranih ćelija koštane srži na matrici od biokompozita hap/plla" (Ectopic osteogenesis and hematopoiesis after implantantion of bone marrow cells seeded on hap/plla scaffold), Hemijska Industrija, 63, 4 (2009) 301-307. (doi:10.2298/HEMIND0904301V). N.L. Ignjatović, P. Ninkov, R. Sabetrasekh, D.P. Uskoković, “A Novel Nano Drug Delivery System based on Tigecycline-Loaded Calciumphosphate Coated with Poly-Dl-Lactide-co-Glycolide“, Journal of Materials Science. Materials in Medicine, 2009, vol. 21, no 1 (2010) 231-239 (doi: 10.1007/s10856-009-3854-6). M. Vukomanović, M. Mitrić, S.D. Škapin, E. Žagar, J. Plavec, N. Ignjatović, D. Uskoković, Influence of ultrasonic processing on the macromolecular properties of poly (D,L-lactide -co-glycolide) alone and in its biocomposite with hydroxyapatite, Ultrasonics Sonochemistry, 17, 5, (2010) 902-908, doi:10.1016/j.ultsonch.2010.01.007. D. Milicević, S. Trifunović, T. Mudrinić, A. Leskovać, N. Ignjatović, J. Dojcilović, E. Suljovrujić, The structure and glass transition behaviour of PLLA under the influence of gamma radiation, Hemijska Industrija, 64, 4 (2010) 275-281, doi:10.2298/HEMIND100329020M. D. Milicevic, S. Trifunovic, J. Dojcilovic, N. Ignjatovic, E. Suljovrujic, The influence of gamma radiation on the molecular weight and glass transition of PLLA and HAp/PLLA nanocomposite, Nuclear Instruments and Methods in Physics Research, Section B: Beam Interactions with Materials and Atoms, 268, 17-18 (2010) 2744-2749, doi:10.1016/j.nimb.2010.06.036. M. Vukomanović, S.D. Škapin, B. Jančar, T. Maksin, N. Ignjatović, V. Uskoković, D. Uskoković, “Poly(d,l-lactide-co-glycolide)/hydroxyapatite Core-shell Nanospheres: Part 1: A Multifunctional System for Controlled Drug Delivery”, Colloid & Surfaces: B Biointerfaces 82, 2 (2011) 404-413. doi:10.1016/j.colsurfb.2010.09.011. M. Vukomanović, S. D. Škapin, I. Poljanšek, E. Žagar, B. Kralj, N. Ignjatović, D. Uskoković, “Poly(D,L-lactide-co-glycolide)/hydroxyapatite core-shell nanospheres: Part 2: Simultaneous release of a drug and prodrug”, Colloid & Surfaces: B Biointerfaces, 82, 2 (2011) 414-421. doi:10.1016/j.colsurfb.2010.09.012. M. Vukomanović, T. Zavašnik-Bergant, I. Bračko, V. Radmilović, S. Davor Škapin, N. Ignjatović, D. Uskoković, Poly(D,L-lactide-co-glycolide)/hydroxyapatite Core-shell Nanospheres. Part 3: Properties of hydroxyapatite nano-rods and investigation of a distribution of the drug within the composite, Colloids and Surfaces B: Biointerfaces 87 (2011) 226-235,doi:10.1016/j.colsurfb.2011.05.023. S. Marković, Lj. Veselinović, M. Lukić, Lj. Karanović, I. Bračko, N. Ignjatović, D. Uskoković, Synthetical bone-like and biological hydroxyapatites: a comparative study of crystal structure and morphology, Biomedical Materials 6 (2011) 045005. doi: 10.1088/1748-6041/6/4/045005. D. Petrovic, Z. Ajdukovic, S. Petrovic, N. Ignjatovic, S. Najman, I. Vuckovic, "Semiquantitative radiological and clinical assessment of the restoration of alveolar bone defects treated with biphasic calcium phosphate/poly-dl-lactide-co glycolide composite." HEALTHMED 5, 6. Suppl. (2011) 2105–2114. N. Ignjatović, V. Uskoković, Z. Ajduković, D. Uskoković, Multifunctional hydroxyapatite and poly(D,L-lactide-co-glycolide) nanoparticles for the local delivery of cholecalciferol, Materials Science and Engineering: C, 33 (2) (2013) 943-950,http://dx.doi.org/10.1016/j.msec.2012.11.026. A. B. Nastasović, N. L. Ignjatović, D. P. Uskoković, D. D. Marković, B. M. Ekmeščić, D. D. Maksin, A. E. Onjia, "Determination of thermodynamic interactions of poly(l-lactide) and biphasic calcium phosphate/poly(l-lactide) composite by inverse gas chromatography at infinite dilution", Journal of Materials Science, 49 (14) (2014) 5076-5086, http://dx.doi.org/10.1007/s10853-014-8214-3. Ž. J. Mitić, S. J. Najman, M. D. Cakić, Z. R. Ajduković, N. L. Ignjatović, R. S. Nikolić, G. M. Nikolić, S. T. Stojanović, M. Đ. Vukelić, M. D. Trajanović, Spectroscopic characterization of bone tissue of experimental animals after glucocorticoid treatment and recovery period. Journal of Molecular Structure 1074 (2014) 315–320 (http://dx.doi.org/10.1016/j.molstruc.2014.06.006). N. Ignjatović, S. Vranješ Djurić, Ž. Mitić, D. Janković, D. Uskoković, "Investigating an organ-targeting platform based on hydroxyapatite nanoparticles using a novel in situ method of radioactive 125Iodine labeling", Materials Science and Engineering: C 43 (2014) 439 - 446 (http://dx.doi.org/10.1016/j.msec.2014.07.046). A. Đorđević, N. Ignjatović, M. Seke, D. Jović, D. Uskoković, Z. Rakočević, Synthesis and Characterization of Hydroxyapatite/Fullerenol Nanocomposites, Journal of Nanoscience and Nanotechnology, 15 (2) (2015) 1538-1542, http://dx.doi.org/10.1166/jnn.2015.8671. M. Stevanović, V. Biočanin, M. Nedić, N. Ignjatović, "Efficacy of nanocrystalline bone substitute biphasic calcium phosphate/poly-DL-lactide-co-glycolide for periodontal intrabony defects filling", Vojnosanitetski pregled, 72, 8 (2015) 689-695, http://dx.doi.org/10.2298/VSP140528049S. N. Ignjatović, V. Wu, Z Ajduković, T. Mihajilov-Krstev, D. Uskoković, V. Uskoković, "Chitosan-PLGA polymer blends as coatings for hydroxyapatite nanoparticles and their effect on antimicrobial properties, osteoconductivity and regeneration of osseous tissues", Materials Science and Engineering: C, 60 (2016) 357–364, http://dx.doi.org/10.1016/j.msec.2015.11.061. Z. Ajduković, S. Mladenović-Antić, N. Ignjatović, Z. Stojanovic, B. Kocić, S. Najman, N. Petrović, D. Uskoković, In vitro evaluation of nanoscale hydroxyapatite-based bone reconstructive materials with antimicrobial properties, Journal of Nanoscience and Nanotechnology 16 (2016) 1420-1428, http://dx.doi.org/10.1166/jnn.2015.10699. Lj. Đorđević, S. Najman, P. Vasiljević, M. Miljković, N. Ignjatović, D. Uskoković, M. Plavšić, "Scanning electron microscopy analysis of changes of hydroxiapatite/poly-l-lactide with different molecular weight of PLLA after intraperitoneal implantation", Acta Veterinaria Belgrade 66 (2016) 234–244, http://dx.doi.org/10.1515/acve-2016-0020. 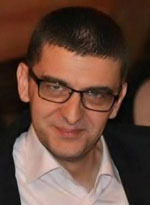 N. L. Ignjatović,K. M. Penov-Gaši, V. Wu, J. J. Ajduković, V. V. Kojić, D. Vasiljević-Radović, M. Kuzmanović, V. Uskoković, D. P. Uskoković, "Selective anticancer activity of hydroxyapatite/chitosan-poly(d,l)-lactide-co-glycolide particles loaded with an androstane-based cancer inhibitor", Colloids and Surfaces B: Biointerfaces 148 (2016) 629–639, http://dx.doi.org/10.1016/j.colsurfb.2016.09.041. N. Ignjatovic, S. Markovic, D. Jugovic, D. Uskokovic, " Molecular designing of nanoparticles and functional materials", Journal of the Serbian Chemical Society, 2017, https://doi.org/10.2298/JSC1612070011I. J. G. Najdanović, S. J. Najman, S. Stojanović, J. M. Živković, N. Ignjatović, D. Uskoković, M. Trajanović, "The Influence of Nanomaterial Calcium Phosphate/poly-(dl-lactide-co-glycolide) on Proliferation and Adherence of HeLa Cells", in: Proceedings of the IV Advanced Ceramics and Applications Conference. Atlantis Press, Paris, 2017, pp. 387–400, https://doi.org/10.2991/978-94-6239-213-7_27. Ž. Mitić, A. Stolić, S. Stojanović, S. Najman, N. Ignjatović, G. Nikolić, M. Trajanović, "Instrumental methods and techniques for structural and physicochemical characterization of biomaterials and bone tissue: A review", Materials Science and Engineering: C, 2017, https://doi.org/10.1016/j.msec.2017.05.127. S. Vranješ Đurić, N. Ignjatović, "Subchapter 1.4: Radiolabeled functional nanoparticles in preventive and regenerative medicine", in: Nanotechnologies in Preventive and Regenerative Medicine: An Emerging Big Picture, Micro and Nano Technologies, ed. by Vuk Uskoković, Elsevier, 2018, pp. 65–92. https://doi.org/10.1016/B978-0-323-48063-5.00001-0. N. L. Ignjatović, K. M. Penov-Gaši, J. J. Ajduković, V. V. Kojić, S. B. Marković, D. P. Uskoković, "The effect of the androstane lung cancer inhibitor content on the cell-selective toxicity of hydroxyapatite-chitosan-PLGA nanocomposites", Materials Science and Engineering C, 89 (2018) 371–377, https://doi.org/10.1016/j.msec.2018.04.028. M. R. Pantović Pavlović, S. G. Eraković, M. M. Pavlović, J. S. Stevanović, V. V. Panić, N. L. Ignjatović, "Anaphoretical/oxidative approach to the in-situ synthesis of adherent hydroxyapatite/titanium oxide composite coatings on titanium", Surface and Coatings Technology 358 (2019) 688–694, https://doi.org/10.1016/j.surfcoat.2018.12.003. N. L. Ignjatovic, R. Janković, V. Uskokovic, D. Uskoković, Effects of Hydroxyapatite@Poly-Lactide-Co-Glycolide Nanoparticles Combined with Pb and Cd on Liver and Kidney Parenchyma after the Reconstruction of Mandibular Bone Defects, Toxicology Research, 2019, https://doi.org/10.1039/C9TX00007K. L. Avramović, V. M. Maksimović, Z. Baščarević, N. Ignjatović, M. Bugarin, R. Marković, N. D. Nikolić, "Influence of the shape of copper powder particles on the crystal structure and some decisive characteristics of the metal powders", Metals 9, 1 (2019) Art. no. 56, https://doi.org/10.3390/met9010056.